It’s always worth having a few meatballs in the freezer for quick week-night meals. 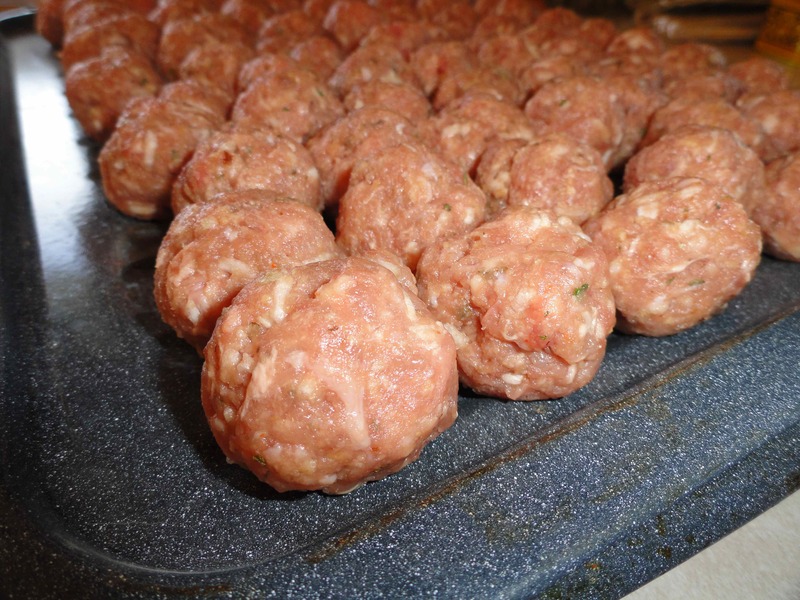 Mix all ingredients in a large bowl with your hands and roll into 1″ – 1 & 1/2” meatballs. Line them up on a broiler pan. Bake for 30 to 45 minutes (depending on their size). I check them every 10 minutes all the way through the baking process so they don’t burn. Let them cool on the broiler pan for a few minutes and then transfer them to a parchment lined cookie sheet. Freeze for at least an hour and then put them in freezer bags in meal-sized portions. 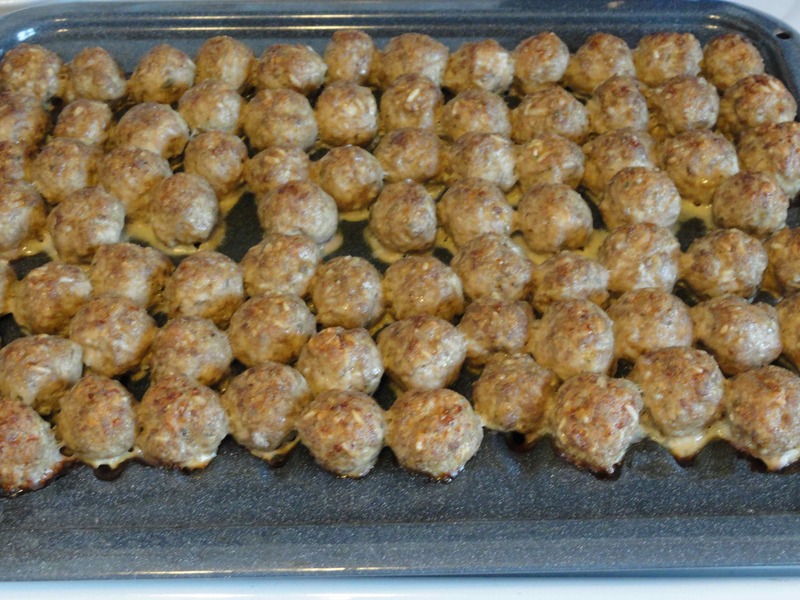 Makes about 6 – 8 dozen meatballs. It’s a very forgiving recipe and substitutions are easy. Try adding fresh minced garlic, onion, green peppers, or change the seasonings up completely to suit your taste.